A couple weekends ago I went to Dublin, I want to share the top three highlights of my weekend. s of any of the buildings shows in the picture below. One was unpaid after a design competition and the other the school just decided not to send the architect a check because he refused to come to collect payment in person. On top of that, the buildings on the left and right are exact duplicates. The inside of the library was much more beautiful and fascinating. Inside the library is the beautiful room pictured below, called the Long Room. This is in the Old Library and is no longer in use, it was built in the 1700’s. 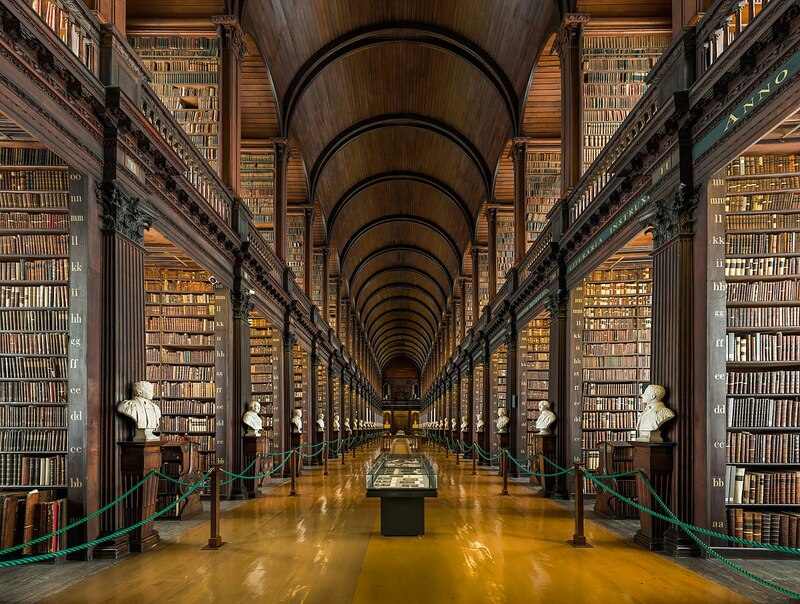 It includes many treasures such as 14 busts of famous authors, a copy of the Proclamation of the Irish Republic (their Declaration of Independence) and the oldest hard in Ireland (from the 15th century). Last but not least the thing that Trinity College is most famous for, The Book of Kells. 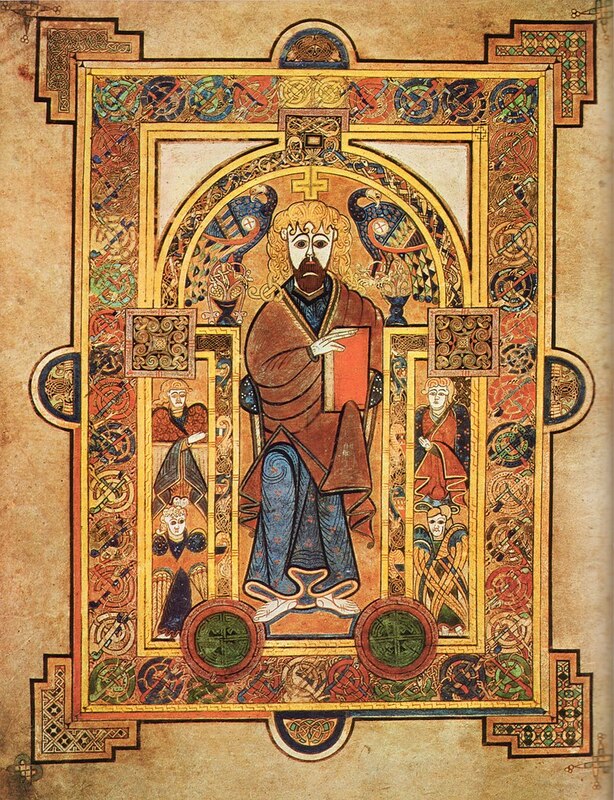 The Book of Kells is a 1200 year old heavily decorated manuscript containing the four Gospels of the New Testament. The book is there on display are some pages of it as well as some pages of other smaller and less ornate manuscripts from that era. It’s part of a big exhibit breaking down major parts of the book as well as how and where it was created. The guided tour plus entry to this exhibit and the Long Room were all part of a ticket that was under $20 USD. I did a couple of alcohol distillery tours. This one was by far the best. The tour takes about an hour in total. It consists of a short film documenting the history of Jameson company and how they got to where they are today then it continues with an interactive explanation of how whiskey is made and it finishes with a comparative tasting in which you taste Jameson and it’s foreign competitors (Scotch whiskey and American whiskey). The ticket also includes one free drink at the bar upon the conclusion of the tour. Between this tour, the Guiness tour and the Irish Whiskey Museum tour (all of which I did), the Jameson tour was by far the most polished and informative experience. This was my favorite thing I did in Ireland and probably my favorite thing I have done the whole semester. We took a full day bus trip (6am to 7pm). 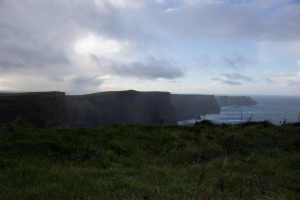 First, we drove from Dublin to the Cliffs of Moher (4-6 hours) which was absolutely the most beautiful thing I saw this semester. Two of my favorite pictures are below but you can see a few more including higher-res versions of these two here. 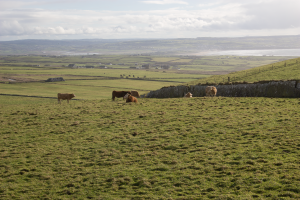 After the cliffs, we took a two hour drive to Galway a charming town in West of Ireland (It was raining so I didn’t get any good pictures) but it’s definitely worth a short visit. After that was a four hour drive back to Dublin. The bus ride was beautiful and everywhere we stopped was beautiful. The whole day trip cost under $50 USD and was easily the best and most beautiful thing I’ve done this semester. Over the weekend I went on one of my final trips to Athens. 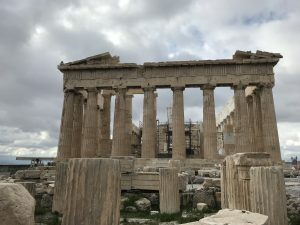 I have always had a fascination with Ancient civilizations and Greek mythology so it was a trip I was very excited for. 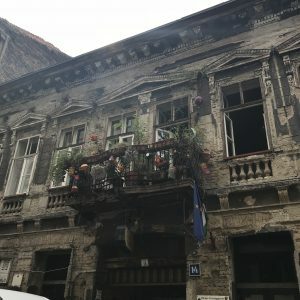 I was lucky to also find a hostel that allowed me to experience what it was like to live as a local. Like my trip to Barcelona, Athens had its own unique look and atmosphere. The historical roots were seamlessly embedded into the city itself. Of course much of it is emphasized for tourism purposes but most of it felt authentic. Like most other European cities, Athens was very much local, stirring away from big named brands and commercialization. The residential areas were so authentic with older building designs established on the hilltops of the city. The residential areas felt so cozy. People would stop and talk on the streets, whether it was with other residents and shop owners. It was the first time I experienced a suburban type of lifestyle in a city, which was very cool. But of course all eyes are set on the historical sites within the city, but more specifically, the Acropolis. I am happy to say that it did not disappoint! Nor did any of the historical sites within the city. I was blown away by beautiful and well preserved the Parthenon, Temple of Athena Nike, and Odeon of Herodes Atticus were. Each structure blew me away with their design and purpose. It was fascinating to hear the history behind these monuments. 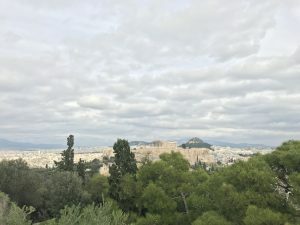 Having dedicated a full day to seeing the Acropolis and some of the markets, I had to find other things to do for the second day. 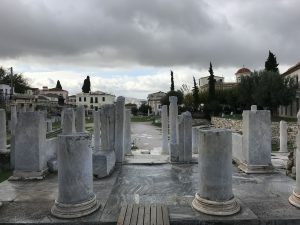 Of course I visited the colossal Temple of Zeus, the Ancient Agora, and the National Gardens, all of which were just as impressive as the Acropolis (not to mention a lot less touristy). 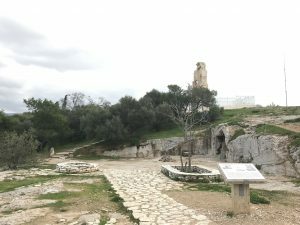 However, one of my most favorite sights was the Philopappos Monument on Mouseion Hill. The walk up and view from the monument was absolutely breathtaking and I highly recommend taking an hour to walk the hill and take in the entire city. 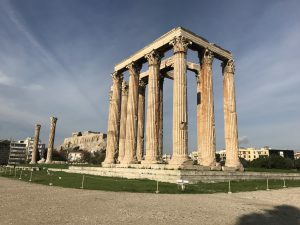 There was so much more I wanted to see in Greece and I will definitely be returning to see the rest of Athens and the rest of the beautiful parts of the country (The Temple of Poseidon in Cape Sounion). 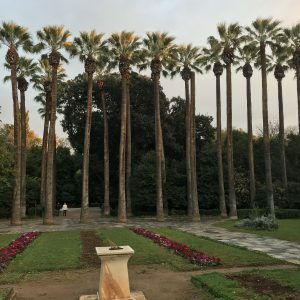 Like Barcelona, Athens was so unique and immersive that its a must visit when in Europe! After a month of relentless homework, assignments, and mid-terms, I was finally able to go on a mini vacation to Barcelona. Meeting with a friend from back home in the states, we were fortunate enough to explore the city for four days. However, I felt when we were leaving that we had barely scratched the surface. Barcelona is such a large, lively, and beautiful city. We could roam around the city randomly and always discover something incredible. 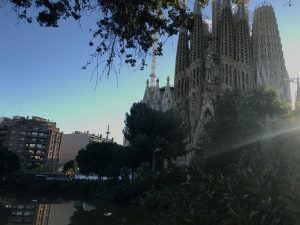 On the first couple days we checked out the main tourist attractions such as the Sagrada Família church, La Rambla walkway, Rambla del mar, and the Barcelona Olympic stadium from the summer of 1992. Each of these attractions were unique and beautiful. Even secret gems such as the Jardin de Aclimatacion park were breathtaking. We capped off our visit with a trip to the Barcelona Zoo and an FC Barcelona game at the incredible Camp Nou stadium. 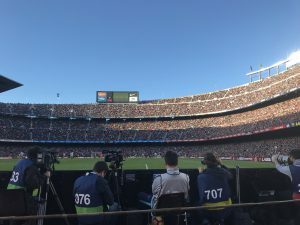 Although Barcelona lost, the game was electrifying with such a different feel and atmosphere than that of most sports games back home. Plus, who wouldn’t want to see Messi play in person! For me, the trip also gave a unique perspective. I have now lived in eastern Europe for two months and going back to western Europe gave the feeling of a different atmosphere. Although Spain and Hungary are located on the same continent, Barcelona felt a bit more different than Budapest and Prague. There is a notable difference in atmosphere between western and eastern Europe. Most differences I saw were in the architecture and history. Spain had its own unique buildings, monuments, and other attractions. The differences between the eastern European cities and Barcelona no undoubtedly are in large part to the history of each country and region. Taking three history courses while I’m here has been eye-opening. The effects of two World Wars and the Soviet Unions communist takeover of eastern Europe have had different impacts on eastern and western European countries. But even with the differences, I enjoyed Barcelona all the same! The city is beautifully laid out and well kept. 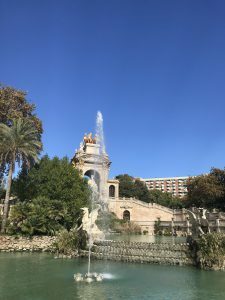 Whether it was walking along the harbor or rallying with the Camp Nou crowd to cheering on FC Barcelona, I felt like I was always immersed in the culture of the city. I highly encourage anyone who takes a trip to Europe to stop in Barcelona, even if its just for a few days. The city is unlike any I have ever been to on this trip, as it has its own personality. I cannot wait to return to the city and see what else it has to offer! forgot about and did not visit). the Mária Valéria Bridge to see Štúrovo, Slovakia. We were shocked to find that there was no border protection whatsoever, people were free to cross the bridge back and forth. 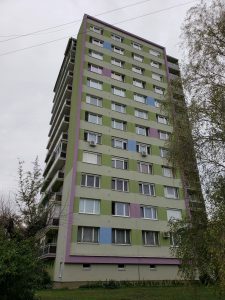 Štúrovo is very underwhelming, it’s just a normal town with many pastel colored apartment buildings. 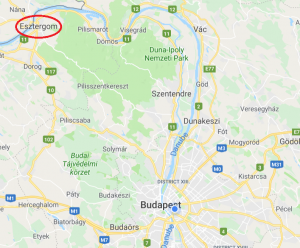 It’s an ancient town that’s been inhabited for at least a thousand years but being a border town especially one on the Danube will bring war and destruction. Becuase of this much of the town is not very old and the biggest attraction in the town is a large thermal bath resort (which we did not visit but saw on the map). We ate lunch at a restaurant in Štúrovo and then crossed back for the night. 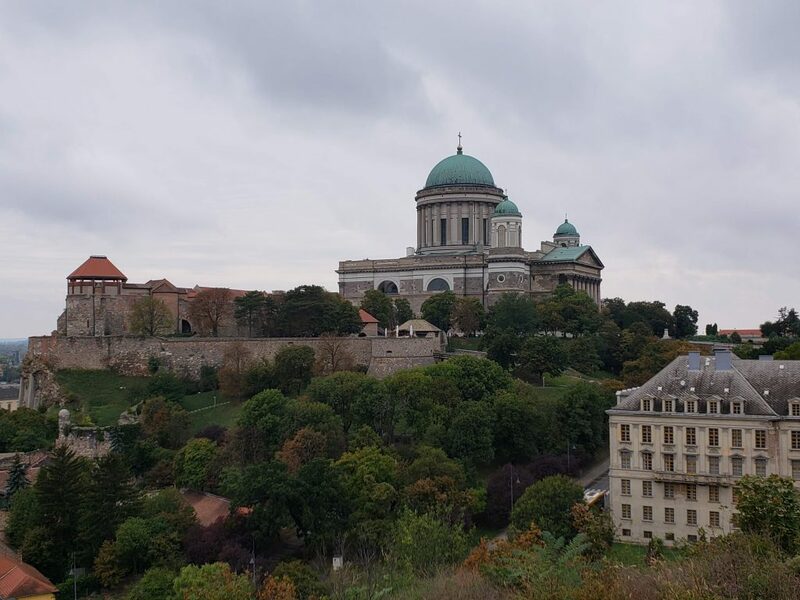 The next morning it was raining but we hadn’t walked around Esztergom and we wanted to see the Basilica and another cool looking church we had spotted while searching for dinner. All of my pictures from inside the Basilica didn’t come out very well because I was using my phone. But the Basilica is much much bigger than it looks unfortunately the dome and a third of the church were under construction and we were unable to see many of the paintings. We made the trek across town to this church which was nothing special, but it did give a spectacular view of the Basilica. The town was small and homely. We took this trip to seek reprieve from city living and we certainly got it. 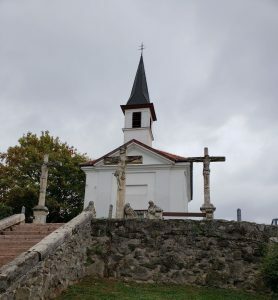 We have a lot more trips in the upcoming weeks and months we will be going to Lake Balaton (wine country in Hungary), Athens, Barcelona, Prague, Vienna, Italy with more to be planned. 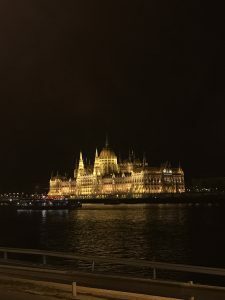 When I arrived in Budapest I didn’t know what to expect. I had only heard of the city six months ago when my friend suggested it as one of the locations we should consider to travel abroad. Other than seeing a few pictures of the Parliament Building and other famous structures on Google Images, I had no idea what to expect. When we initially arrived, we were met with heavy rain, massive lightning strikes, and fireworks going off in the city… all topped off by a crazy taxi driver going 130 k (80 mph) through it all. After that hectic night, I got to see the city in its entire glory, and I was immediately blown away. 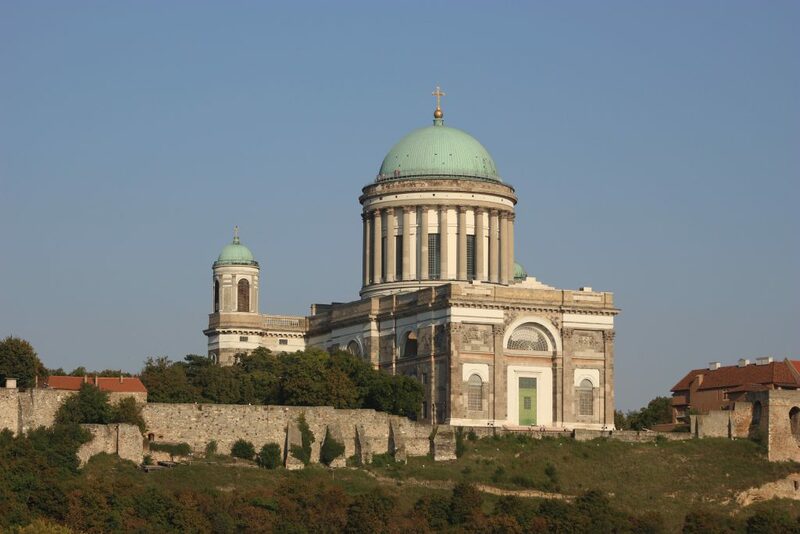 In our two group tours we got to see the beautiful architecture, learn the history, and try the food in both Buda and Pest. The city immediately took hold of me with its beauty and atmosphere. 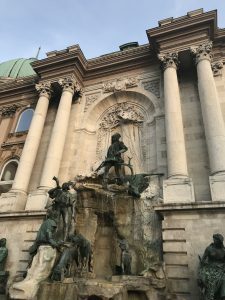 You won’t find major businesses, heavy traffic, or skyscrapers in Budapest but the city overcompensates with breathtaking architecture and rich history. This seems to be the biggest distinction between most European and U.S. cities, and something I love. A lot of U.S. cities feel and look the same, as where in Europe, each city has its own distinct background, culture, and atmosphere. Even with it’s drastic differences from the Boston area, my transition between cultures has been surprisingly smooth. Although English is spoken more commonly in the city center, I have still found the language barrier less difficult than I imagined. 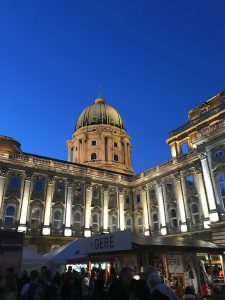 However, I was surprised when our RA informed us that Hungarian social norms are very different than those in the U.S. She told us that people in Hungary kept to themselves, meaning they would not smile or say hello when they walked by someone on the street. She told us not to take offence if someone doesn’t acknowledge us if we signaled with a friendly gesture and explained that it was just part of the culture. Other than the language boundary, I have adjusted to Budapest surprisingly well by learning the transit system and Hungarian cultural and social norms. 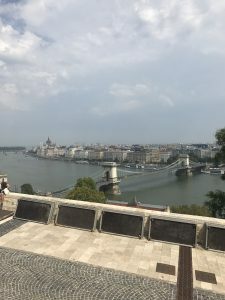 I am excited to explore and become accustomed to the beautiful city of Budapest and to learn as much that I can about Hungarian culture and history! 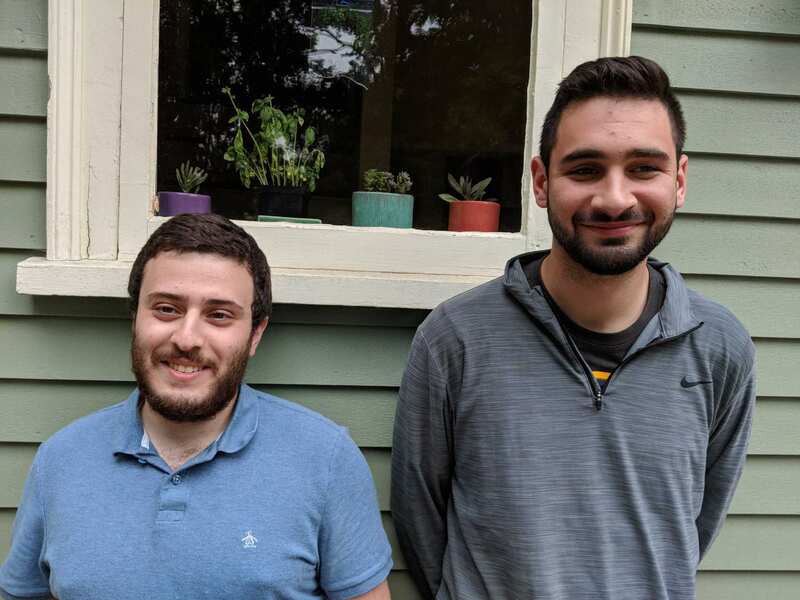 Follow this Fall 2018’s Office of Study Abroad & International Experiences Global Correspondents: Paul Murphy and Zachary Krausman, on their studies in Budapest, Hungary! Zachary is a UMass Lowell Computer Science major with an Economics minor. Paul is a UMass Lowell Philosophy Major. This Fall, they are both studying through the UMass Lowell Partner-Led: AIFS Study Abroad in Budapest.